“If there was no New Orleans, America would just be a bunch of free people dying of boredom.” – Judy Deck. When speaking to most travellers who want to or who have already visited the United States, you almost always hear the usual tourist hotspots making up their itinerary: New York, Las Vegas, Los Angeles, Florida, San Francisco etc. The list goes on, but sometimes it’s easy to forget how magnificently huge and diverse the country is! You’ve probably heard of New Orleans, and it may have already crossed your mind to go there, but you’d be crazy not to make it one of your bucket list “must visit” cities. Keep reading to discover the best of New Orleans. Of course we’ve got to talk about Mardi Gras. It’s one of the largest cultural celebrations in the country, and definitely one of the most famous. It’s a gigantic carnival, signifying the start of Lent, and boy do they know how to party. 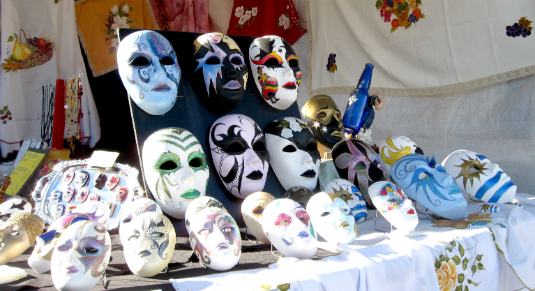 Everywhere you go, the streets are filled with dancing, music, masks, costumes and beads. Mardi Gras, also called Shrove Tuesday, or Fat Tuesday, is one of the biggest and best parties of the year! This legendary music venue was recently featured on Sonic Highways, a documentary series chronicling the recording of Foo Fighters’ eighth studio album. 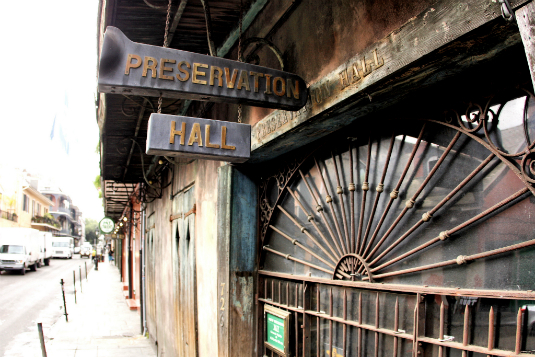 In the episode, Dave Grohl and other music legends talk about the unique sound heard and felt at Preservation Hall. It’s the backbone of New Orleans’ music history, and one of the hottest live jazz spots in the world. Seriously, you’ll be missing out if you leave it of your list. One of New Orleans’ national historic landmarks, Jackson square is a famous park in the French Quarter of the city. The architecture of surrounding buildings is exquisite, the serenity of the park is sublime. 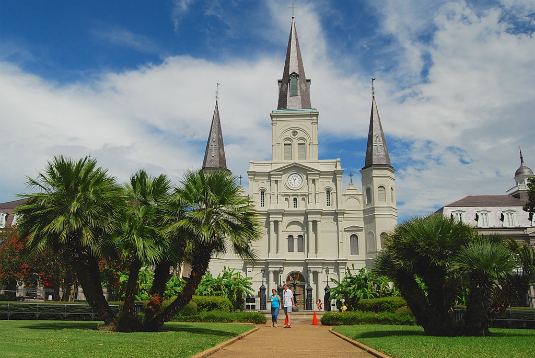 Put Jackson Square high on your places to visit in the Big Easy! There’s nowhere in the world quite like Louisiana. 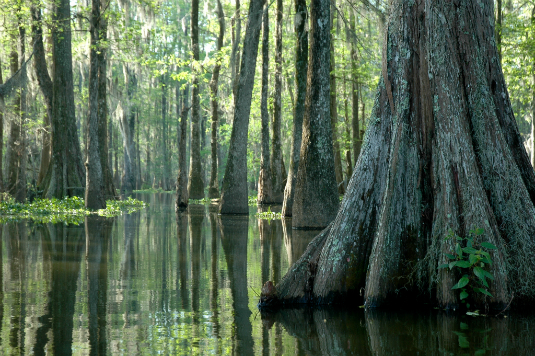 The swamplands and alligators are natural wonders, so why not see it all up close and personal?! The wildlife is stunning, and if you can survive the humidity, it’s a fascinating way to commune with that natural scenery of the Deep South. Centuries-old oak trees, sculptures, bridges, and the beautiful tranquility of nature all combine for a experience most big cities can’t provide. But it’s not just a park! There is an amusement park, a botanical garden, the museum of art, golf courses, horse stables, and bikes and boats to rent. 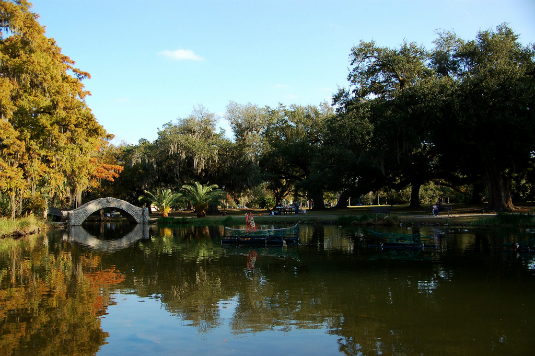 New Orleans City Park offers something for everyone and is a must visit for visitors to the city. It really should be called the anti-boredom park! Within the City Park lies one of the most inspiring attractions in the whole city. Artists from all over the world have contributed pieces to the garden, making one of the most exquisite sculpture collections in the world. 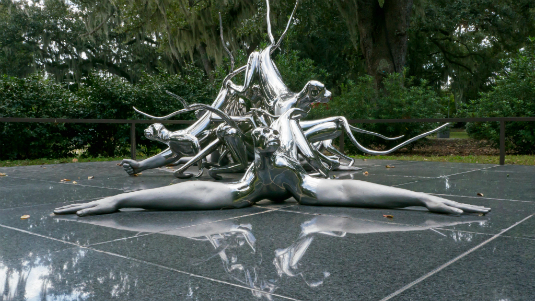 Admission is free and it is located right next to the New Orleans Museum of Art. Well worth a visit! What trip to America would be complete without a little sport? New Orleans is the home of Dree Brees and the Saints NFL American Football Team. 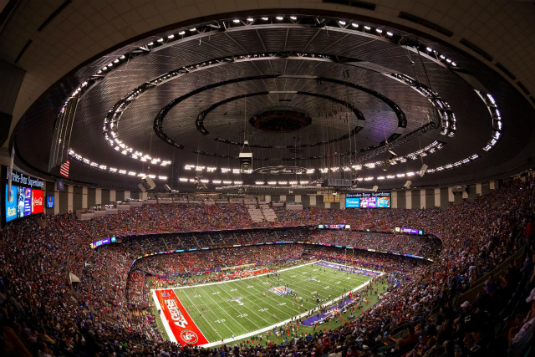 In the immediate aftermath of Hurricane Katrina, the home of the Saints, the New Orleans Superdome actually helped shelter thousands of newly homeless citizens. In the aftermath of the storm, the football team won the 2009 Superbowl championship, and acted as an important way for a broken city to reunite itself in hope and togetherness. While NFL tickets are not overly cheap, the experience is life-changing! Old New Orleans at its finest. The city’s French cultural influence is prominent, and the French Quarter is obviously the crowning jewel. 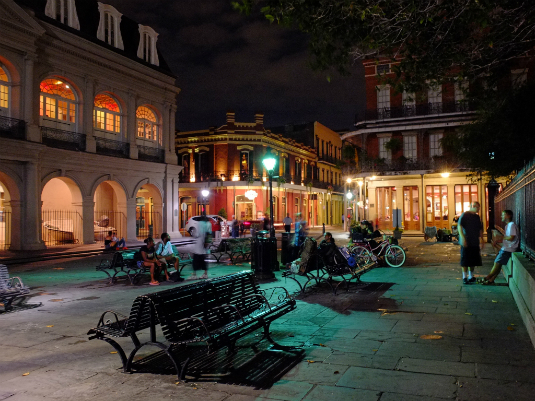 The Quarter’s entice draws millions of visitors each year. It’s the oldest part of the city, with some of the buildings even dating back to the Louisiana Purchase! 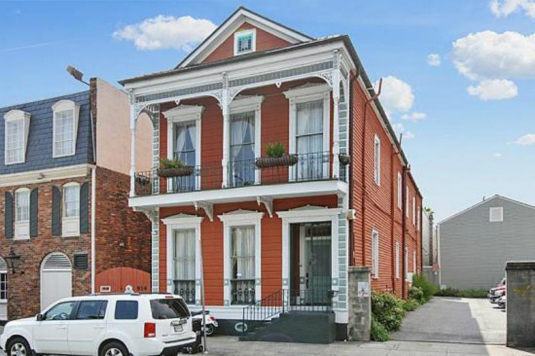 The French Quarter, also known as the Vieux Carré, is actually protected from demolition due to its historical significance. Almost all of the major hot spots of New Orleans are found there, so make sure it’s top of your places to see. There are numerous museums and memorials all over the world, dedicated to the historical significance of WWII. 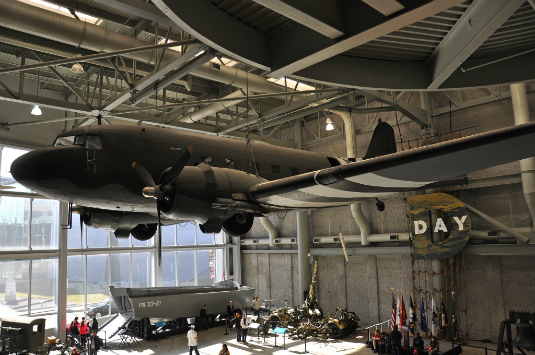 The National WWII Museum is one of America’s best, and is the focal point of American WWII historical remembrance. The museum is home to countless artefacts, vehicles, aircraft and of course a sobering and respectful wealth of information about one of the most significant and tragic events in world history. 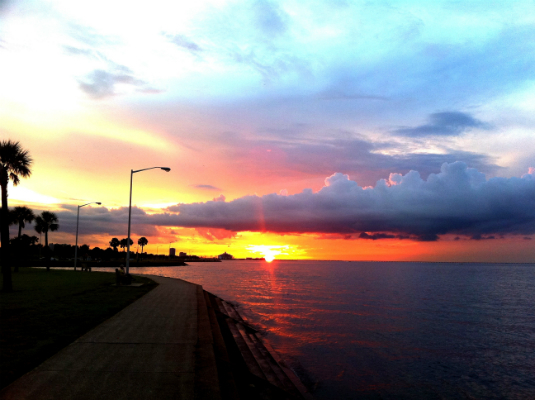 The city of New Orleans is a remarkable and vibrant place, but you can also find a peaceful escape out at nearby Lake Pontchartrain. The lake is popular with weary travellers who love nature, fishing, bird watching and rural tranquillity. You’ve just got to love a good dive bar. No pretence. No pomp. No frills. Just good old fashion fun and drinking! 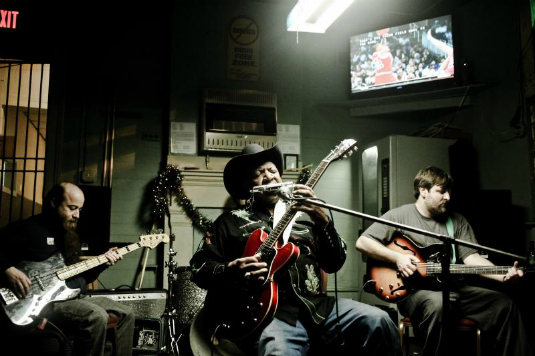 Many of New Orleans’ dive bars have incredible themes and atmospheres. They are far from being a tourist traps, the bartenders are so great, and the vibe in there is as if you are instantly a part of the family. Among the most popular are Chart Room, Mayfair Lounge, Aunt Tiki’s and Saturn Bar. Artwork, dancing, new friends and plenty of adventure all await you at the city’s best dive bars. Mark Twain said: “New Orleans food is as delicious as the less criminal forms of sin.” It’s absolutely true, and the city’s seafood is particular to die for! 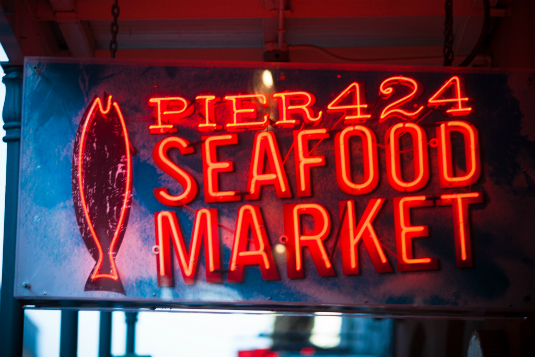 There are incredible seafood markets all over the place, and the restaurants all have various specialties and twists on classic oceanic dishes. The chefs in New Orleans have taken the creative liberty to bring together some of the most unique and awe inspiring dishes for even the most well-travelled visitors. You’d expect that pizza in Italy is a cut above the rest right? Well the same applies to the scrumptious seafood of New Orleans, Louisiana. Shrimp gumbo, Jambalaya, crawfish, pretty much anything your heart desires is right on your doorstep, and the quality is top notch! First they take their signature concoction, mix it with a second one, and then set it on fire before dropping into a beer! Sounds crazy right? 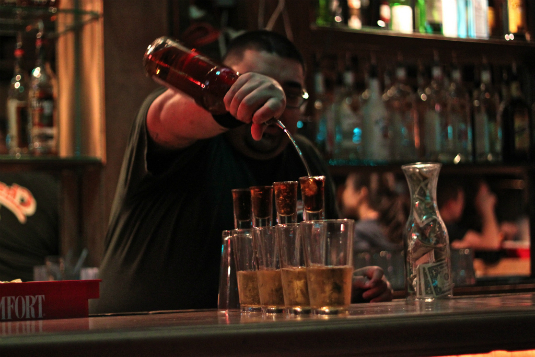 Well Dave Brinks of the Gold Mine Saloon invented this now infamous drink, and it has become a favourite of thousands of visitors to New Orleans. Remember to always drink responsibly! 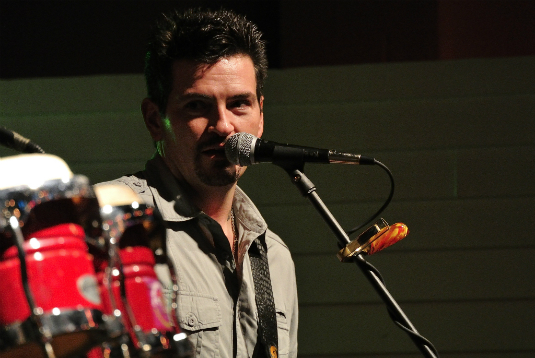 New Orleans and jazz are as connected as Texas and country music! Jazz is a way of life in the city, and some of the best musicians the world has ever seen showcase their talents each year at the Jazz & Heritage Festival. 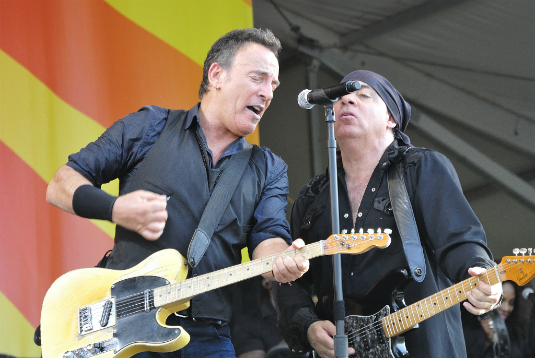 The food is tasty, the drinks are flowing, and artists such as Gwen Stefani, Bruce Springsteen, and local favourite Trombone Shorty provide the tunes. It’s an all-around artistic showcase of epic proportions. The festival is popular, so making early reservations for travel and accomodation is recommended. In the heart of New Orleans and major tourist attraction. 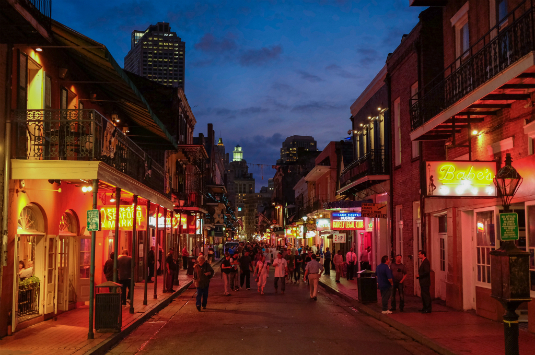 Bourbon Street is the historical road that runs through the heart of the French Quarter. The street is often awash with colour during Mardi Gras. 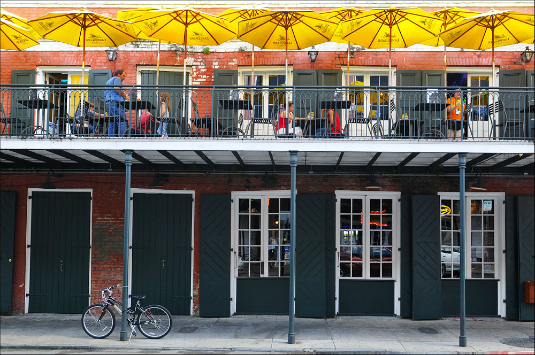 It’s full of clubs, restaurants, bars and vibrant entertainment, and acts as the spiritual home of New Orleans culture. The banks of the famous Mississippi River is home to the massive Aquarium of the Americas, which houses approximately 10,000 marine animals! 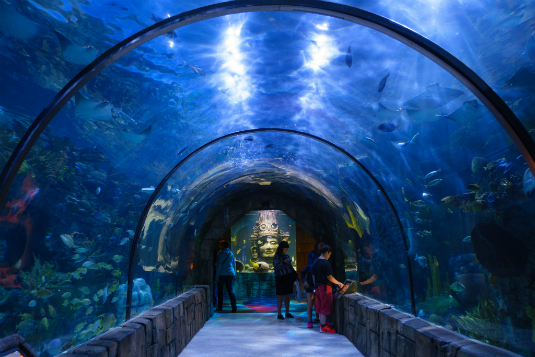 Visiting the aquarium is the best way to get an up close look at sharks, turtles, fish, seahorses and more without having to get your dive certification! Education meets curiosity and science in this popular New Orleans landmark. By now I’m sure you’ve noticed a French theme to large parts of the city. The French culture in New Orleans is part of its DNA, and there’s perhaps no better example of that than the historic French Market. Music, food, shopping and of course a fantastic farmers market are waiting for you along the banks of the river. 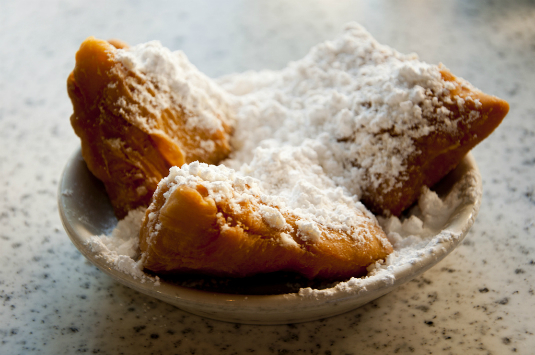 If I could sum up Café du Monde in just 3 words, they would be: “Om, nom, nom!” They’re located in the French market, so while you’re there you absolutely MUST try the powdered sugar covered beignets. Coffee lovers won’t be disappointed either! Give your taste buds a holiday of their own! Of course we’ve got to put in a little plug for the hostels in New Orleans. Seriously though, when looking for accommodation in the city, the hostels will be your best bet. The prices are great, the atmosphere is exactly what you would expect in a vibrant social city like New Orleans, and their locations will get you right into the heart of the action! Thanks to John Perry, faungg’s photos, Britt Reints, Thomas Münter, Phil Roeder, Jennifer Boyer, Strolic Furlan, Jon Cramer, Takahiro Kyono, Michael McCarthy, Connie Tsang, Sean Davis, Aaron Vazquez, Lars Plougmann, Dan Merino, Loren Javier, Gary J Wood, and vxla for their great Flickr pics!